Dr. John J. Maurer of the University of Georgia Poultry Diagnostic Research Center has developed new technology autogenous E. coli vaccines. The project was funded by the U.S. Poultry and Egg Association Foundation. Dr. Maurer and his colleagues were able to develop a culture method for field strains of E. coli that inhibit the production of surface. 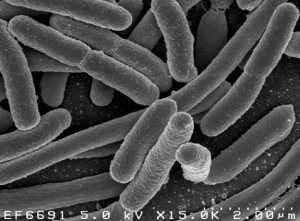 Coli without the O antigen include the lipopolysaccharide core which can stimulate antibodies to a wide range of pathogenic E. coli. The culture technique was applied to produce E. coli strains stripped of O-antigen to be incorporated in emulsion which was effective in inducing an antibody response. The technique has the potential to enhance the effectiveness of autogenous vaccines since STEC strains or various subtypes may be present on a specific farm effecting successive flocks.